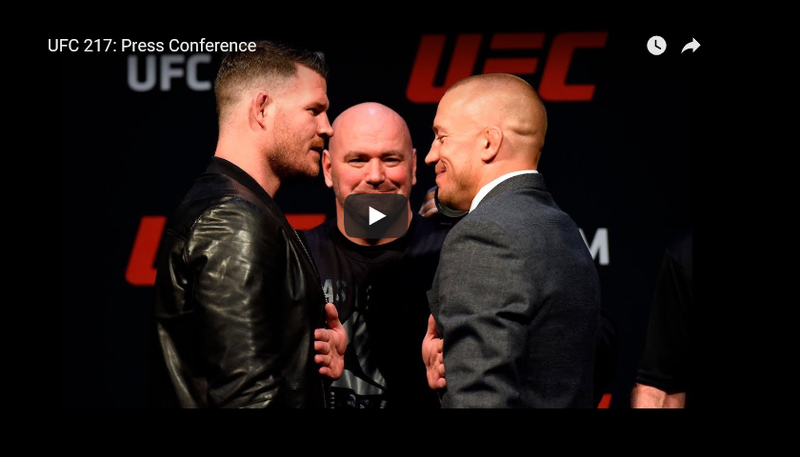 At the UFC 217 press conference, UFC middleweight champion Michael Bisping, Georges St-Pierre, UFC bantamweight champion Cody Garbrandt, T.J. Dillashaw, UFC strawweight champion Joanna Jedrzeczyk and Rose Namajunas will answer questions from the media on Friday evening. The video is expected to begin above at 6:30 p.m. ET. It will take place at the T-Mobile Arena in Las Vegas and will go down before the UFC 216 weigh-ins take place on the same stage beginning at 8 p.m. EST. UFC 217 goes down Saturday, November 4 from Madison Square Garden in New York, New York and can be purchased on pay-per-view.